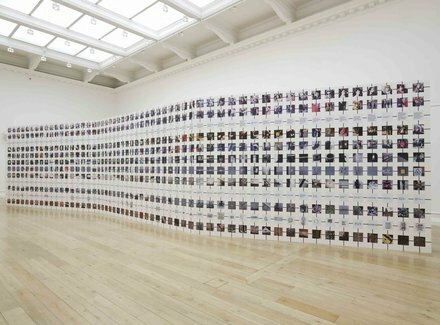 In early 2012, Willats met thirteen artists at South London Gallery and discussed with them the idea of working with him as a documentary group to make a new work, Data Stream Portrait of London. The plan for the documentary group was to record different aspects of walking through two very contrasting London streets. The experience of each walk was to be broken down into specific elements such as looking at peoples’ facial expressions, the ground people walk on, fabric of the environment, signs of nature. The two streets were Regent Street in the centre of London and Rye Lane in the Southern inner suburbs, both of which had very specific, but contrasting visual languages. 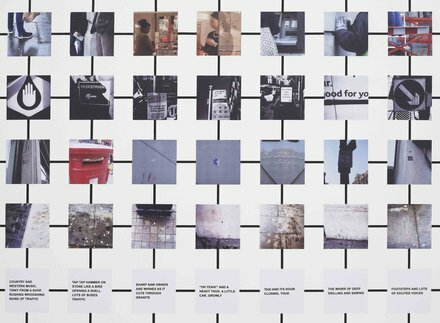 Each person in the group used a different media – such as still cameras, rubbings, tape recorder, video, super 8 camera etc. - to record the specific reality they were documenting. 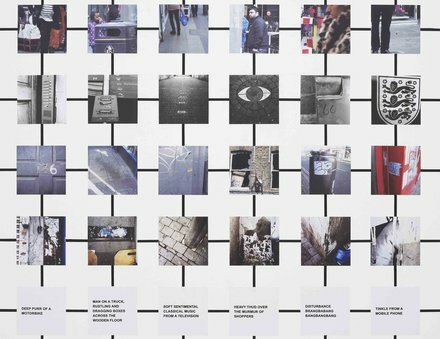 At each of the two locations, the group worked together, all covering the same distance at the same time to create the variety of sensations and images anyone walking down the street would experience. 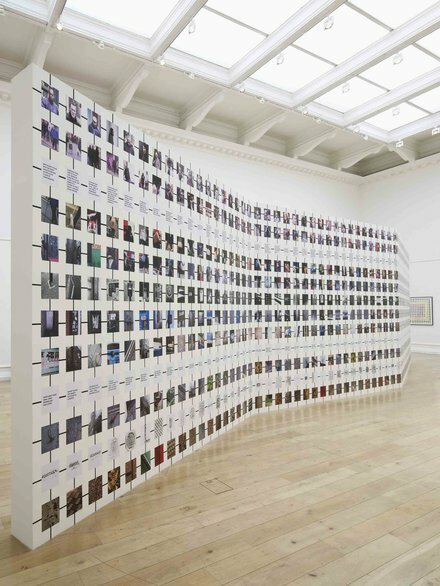 In the installation at South London Gallery in 2012, the images and written descriptions are presented as digitally printed out images within a horizontal and vertical diagrammatic framework on a long free standing wall. 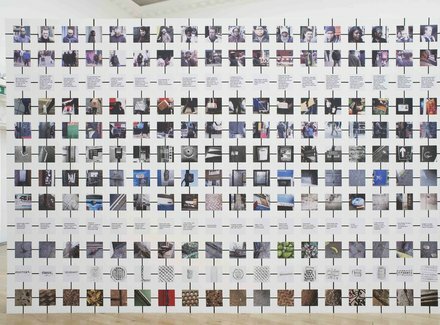 Each horizontal line represents one person in the documentary group’s recorded and edited datastream, such as spaces between people, people and their objects, facial expressions. 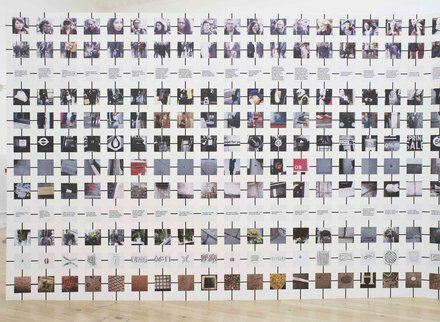 Vertical lines represent moments in the timeline of each section of the walk by the documentary group. At the same time the data stream flowed outside the Gallery spaces as there were related films in shop windows and stickers in the surrounding environment.